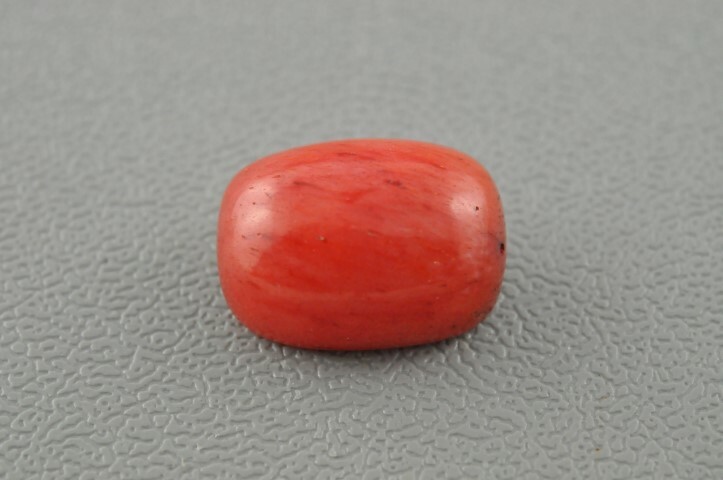 An orange-red cabochon measuring that was presented as red coral proved to be dyed bone. The sample lacked the typical “tree ring” or “striated growth” structure seen in corals, though it did display a network of fine veins throughout. 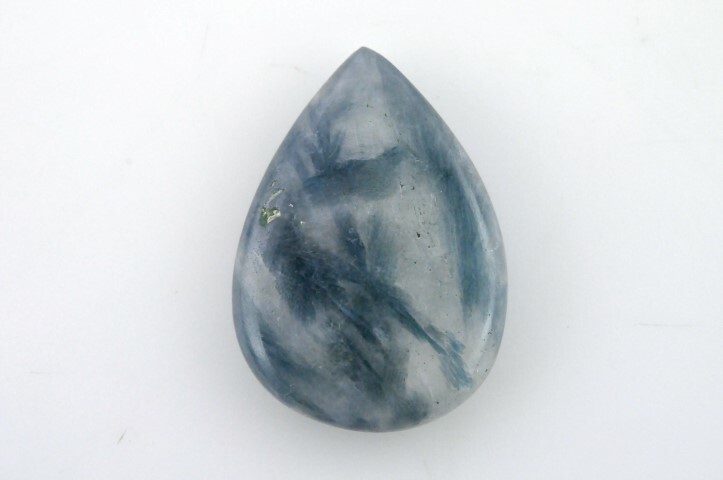 When viewed from above, these veins appeared subparallel and oriented along the length of the cabochon. They also displayed orange-red color concentrations against the cabochon’s whitish bodycolour, suggesting that the material was both dyed and organic. Chemical, gemological, and observational features indicated bone, which was further confirmed by Raman spectroscopy. In 2009, one of the contributors had the opportunity to see small lots of greenish blue to bluish green Cr-rich kyanite in Jaipur, reportedly mined from the eastern Indian state of Orissa (Odisha). Most of the cabochons and faceted gems, ranging in size up to 25 ct, were highly included. 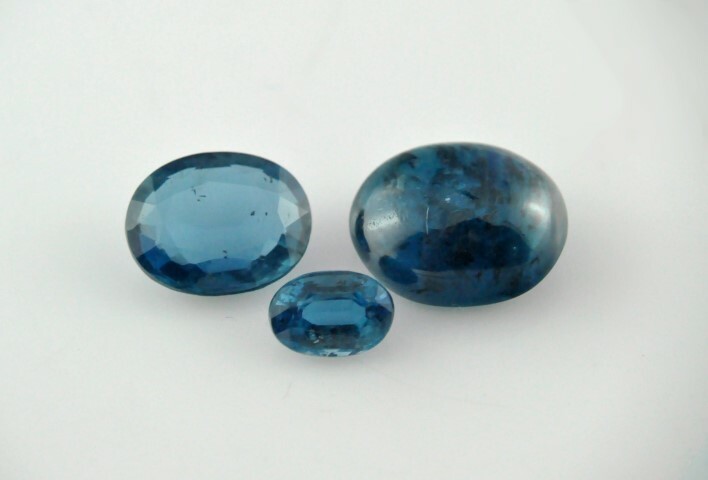 In 2013, this Cr-rich kyanite from Odisha was again available in Jaipur, this time with very few or no eye-visible inclusions. Although a few specimens contained numerous black inclusions (ilmenite), the lack of internal features in most of the stones yielded a more desirable uniform greenish blue to bluish green colour, making them suitable for jewellery mounting. 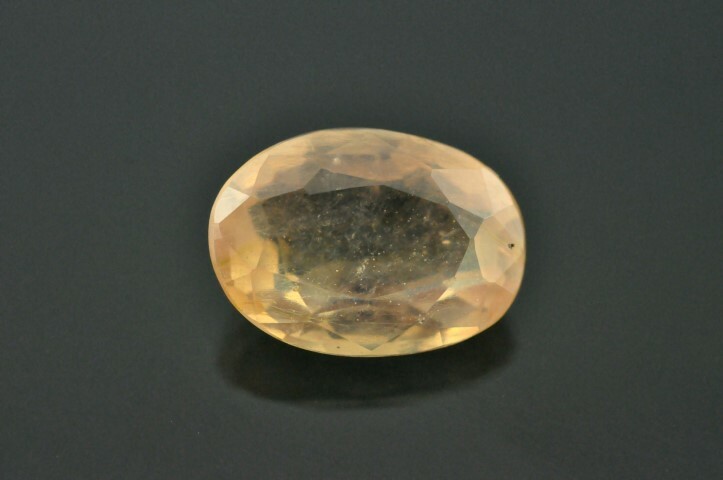 An orangy yellow sapphire filled with lead-glass was examined which appeared hazy throughout, with a roiled effect reminiscent of hessonite; standard gemological properties and microscopic analysis identified the specimen as natural corundum. Numerous low-relief cracks were present throughout the stone with a distinct flash effect along with trapped, flattened gas bubbles, and whitish cloudy patches; these are typically associated with filled stones. The glass-filled fractures appeared orangy yellow against the pale yellow bodycolour of the stone, which also provided it yellow face-up colour. The lead content of the glass was further confirmed by EDXRF analysis. Seven samples of relatively unknown ornamental sapphirine - cordierite - sillimanite rock was studied, said to be mined from the Karur district of Tamil Nadu, India. Each of the mineral was identified by their characteristic Raman spectra, which otherwise looked similar to quartz with some acicular inclusions. UV-Vis- NIR spectrum revealed the cause of colour in sapphirine to be Fe2+ - Fe3+ charge transfer.